The second leg of our Original Roots Tour will take us to Yellow Springs, Ohio! This is an important stop in many ways. Original Moxie Founder, Rachel’s family tree (and curly hair) are rooted in the quaint and verdant village of Yellow Springs. 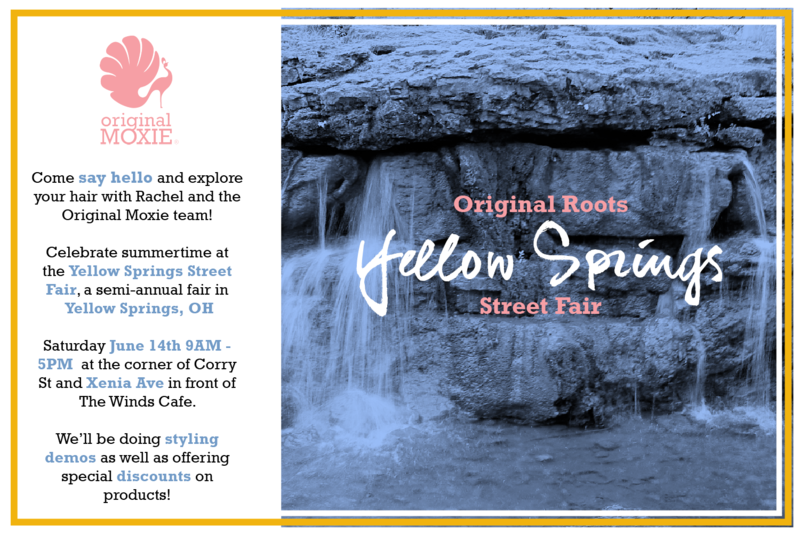 We invite you to come say hello as we host an interactive booth at the Yellow Springs Street Fair being held this Saturday, June 14th from 9AM to 5PM. You can find us near the corner of Corry St and Xenia Ave, in front of The Winds Cafe. In addition to special discounts, we’ll be offering styling demos and an essential oil scent station. We’d love your input as we develop fragrances for the new products we have in the works. See you there!